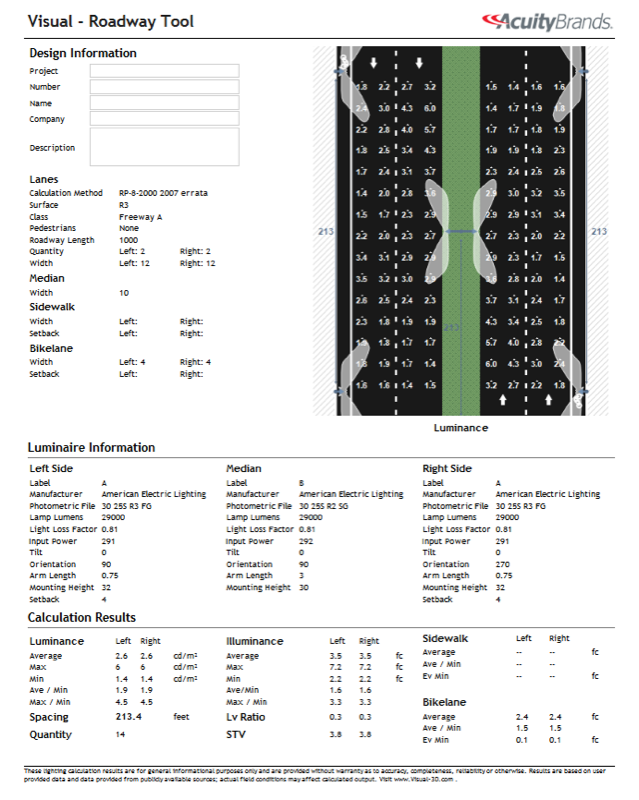 The Roadway Tool will find the optimal spacing for poles along a roadway using the criteria and procedures set forth by the IES for Roadway lighting. 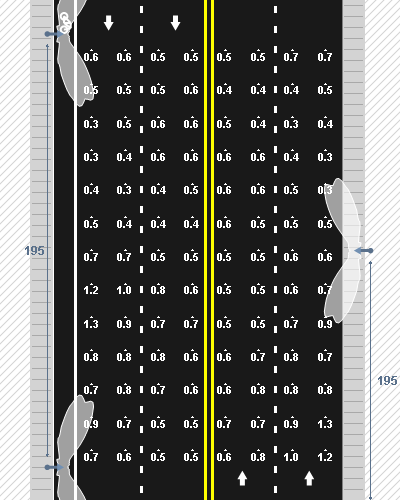 This tool calculates the largest spacing between regularly spaced poles on a continuous straight and flat roadway using the calculation procedure defined in the IES RP-8-2000. This tool includes the changes to the calculation procedure in the 2007 errata. 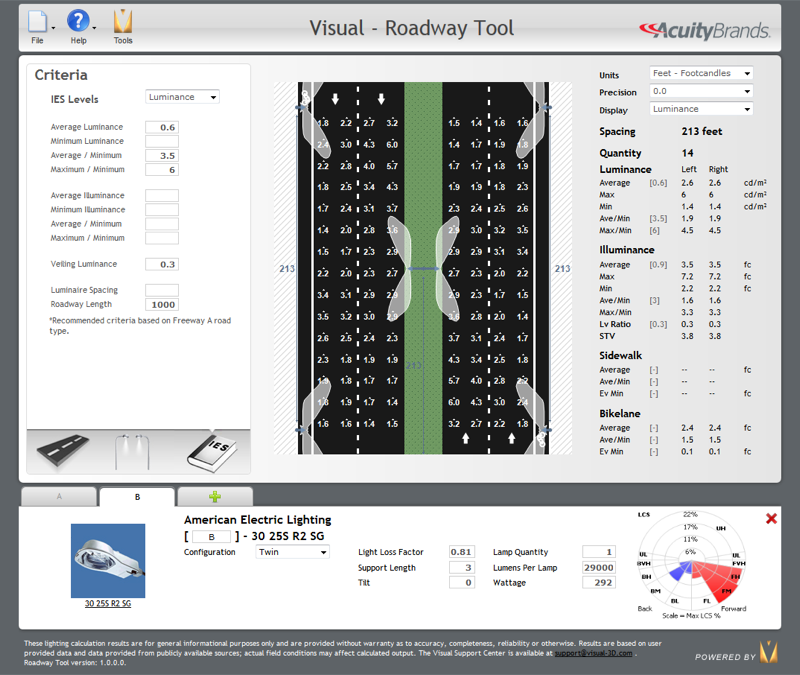 The calculation engine steps through different pole cycle spacing and determines if your roadway criteria has been met. The engine converges on a spacing that is the largest spacing that meets the criteria for the roadway. 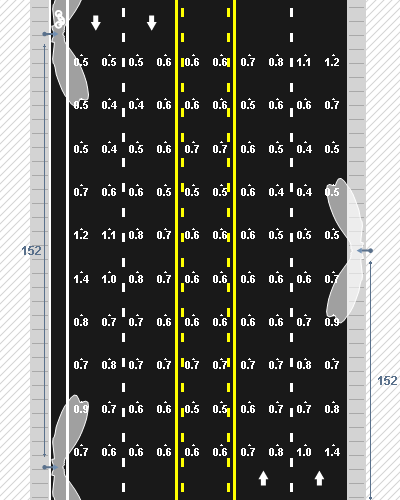 Calculations for the pedestrian areas (sidewalks and bike lanes) are then performed at the determined distance and reported back for your information. The engine does not consider the pedestrian areas when recommending a cycle spacing.